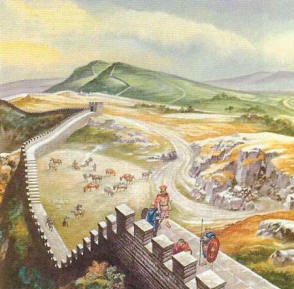 For much of it's life, Hadrian's Wall was the furthest point from Roman in the empire. It was also one of the most disliked postings for a soldier. The Roman soldier was either a Romanised citizen or an import from Europe. Most of them had been imported from the warmer climates of the Mediterranean. Life was better there. The tribes had been largely forced into, or persuaded to, accept Roman ways. Although a soldier was not meant to marry or have a partner, many of them did. The food was of a high quality and there were abundant supplies of it. They had built up a good relationship with the locals, and no matter what a soldier wanted, someone could supply it. Then he was sent to Britain to defend an outpost, that he regarded, as the edge of the world. The Romans were flat earthists who believed that if they travelled too far from the known world, they would fall of the edge to their deaths. Check out this original Roman map... a little different than what we are used to, huh?! Tabula Peutingeriana — ancient Roman map (click this thumbnail for large-scale image — very big! Their first impression on arriving was very often one of revulsion. For the average soldier, the most travel he had done across water was on the Mediterranean ocean where the water was somewhat calm. Then he had to endure the English Channel which was rough at the best of times. when the weather was really bad, as at the time of Caesar's expeditions, craft were forced to turn back and wait for a more serene sea. So when he arrived, our new recruit was most likely seasick and knew he was landing in a country reputed to be hostile. This hostility was not just limited to the attitude of the natives. The landscape was completely different to the continent. It was stark and covered in thorny bushes and impenetrable forests that the natives used effectively as natural defences. On his march to the northern frontier, he passed towns and villages that had a Roman appearance, yet were, somehow, not Roman. The temperature dropped, the air became damper and the rain bit with teeth of ice. Many of the natives were openly resentful of his presence. For the British to show displeasure at any Roman was an offence, but many still ran out from behind buildings, spat at him and ran back into the shadows. Sometimes a stone or rotten vegetables would be thrown in his direction and land nearby. The march was hard over terrain that undulated up and down hill. The sun never seemed to shine over this dank depressing scene. The wind howled and made the droplets of rain feel like stones of ice as they hit any exposed parts of his body. Truly he wanted to return to a better place, but he had joined the army to serve his country, no matter where he was sent. On arriving at Hadrian's Wall, he would be allowed to rest while the officers dismounted their horses and saw to the administration details that needed attention. Once his weary legs had eased, he made his way to some steps and climbed the stairs to the top of the wall. He was about to see the edge of the Roman Empire. When he looked over, he saw an empty barren land that he knew was occupied by some of the most savage tribes ever known. All the same, he could not fail to be astounded by the feat of Roman engineering he saw before him. Hadrian's Wall stretched across the southern border of the Caledonian tribes. It was originally built on the orders of Emperor Hadrian following his visit to Britain in 122AD. Starting to the west of Carlisle, the wall runs for 80 miles (128km) in a slight arch pattern until it arrives at the east coast at South Shields. The total distance coast to coast is 73 miles (117km) if measured in a straight line. This was a major defence point in Roman Britain and this is shown in the number of forts that were stationed alongside the wall. There were structures called 'milecastles' placed every mile along the length of the wall. The idea being to ensure that every inch of the wall could be seen during daylight. The soldier began to make himself at home with the other nine men who shared the barrack room. As the summer came to an end and autumn, then winter began to show their faces a distinct dislike for the posting was becoming clear. He had never seen snow before, much less felt the icy chill of the kind of wind that cut through the fabric of his clothing. The wind was bitter and it felt like it was cutting deep into his soul itself. But there were upsides to this assignment. Villages had sprung up to the south of the wall. There were taverns, shops. In fact just about anything he wanted could be bought here. As with any situation, if there was money to be made, someone would find a way to make it. It was a kind of false greeting the villagers gave him. There was a feeling that he was not wanted here, just his money. Still the ale was good, the company bearable and his life here was tolerable. Legionaries were not just fighting men, there were also skilled engineers and craftsmen. Apart from guarding the wall, our soldier would be put to work on repairs and maintenance. He would also help with the administration of traffic through the gates by checking out the validity of anyone passing through. He would have been responsible for collecting levies from traders who were a constant sight around the forts and villages. 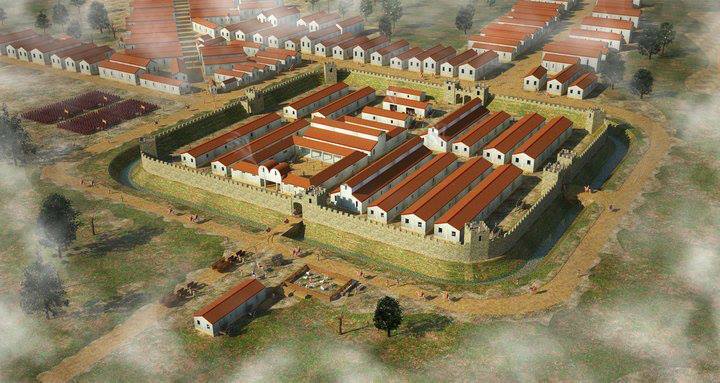 The Romans had been in Scotland well before Hadrian's Wall had been built, but had gradually withdrawn back to a predetermined line, although many of the forts north of the wall were still manned. the wall itself was in constant need of inspection, so our legionnaire had to walk along sections of the wall, and alongside it, to inspect the structural integrity and report on any parts that looked weak or defective. He may also have been part of the team that would have made repairs to the stonework. When he was not on duty, he would head towards a settlement and the shops and craftsmen that were part of the community. Even though the Romans forged items from metal meant to withstand the damp climate, his equipment would become tarnished and show spots of rust. If he could not remove them himself, he risked failing the daily inspection and so would receive a punishment. What the military today call 'jankers'. There were leather workers and blacksmiths who could make his equipment like new. The Roman soldier was expected to meet the costs of replacing and repairing his equipment from his own pay. His meals, accommodation, etc. were also all met from his pay. By the time all the deductions had been made, our soldier was probably left with only about one fifth (20%) of his pay to do with as he pleased. Throughout his 25 year career, our man would have been posted around Britain and possible, even other parts of the empire and, but even when he retired, he was not forgotten. If he wanted to, the retired veteran could return to his home country and be reunited with his family, whom he would not have seen for many years. Most soldiers though, settled in Britain and retired to Colchester, where he would have a house, a plot of land, an allotment and maybe would even marry the woman with whom he had spent so much of his off-duty time. The Roman lifespan for men was 41 years. 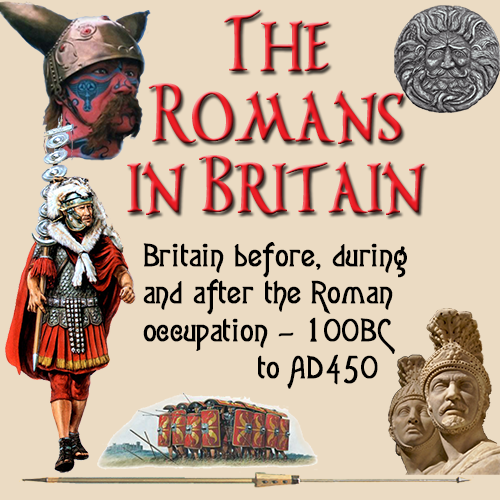 The entry age for the Roman army was 18-22. So after his 25 years of service, he would been 43-47 years old — provided he had managed to live beyond the average life expectancy. He would have had a relatively short retirement, although there are many known cases of Romans living into their 60's and 70's. A Video off of YouTube showing a bit about what the Roman soldier would be learning. One thing we have to consider, is that 41 years was the average lifespan a Roman could expect. I believe this also includes the figures for those who died at a young age through illness and death in battle. It would also include such statistics as the thousands of people who were wiped out in the Boudiccan rebellion. The death rate relating to premature violent death was far, far greater in Roman times that it is today. So, it is entirely feasible that if we adjust these figures — by excluding those who died naturally before reaching adulthood and those would died in conflicts, that the average lifespan would probably be some 20 years greater. This would explain why many people whose birth and death dates were recorded, seem to have lived far longer that the 41 years quoted here.